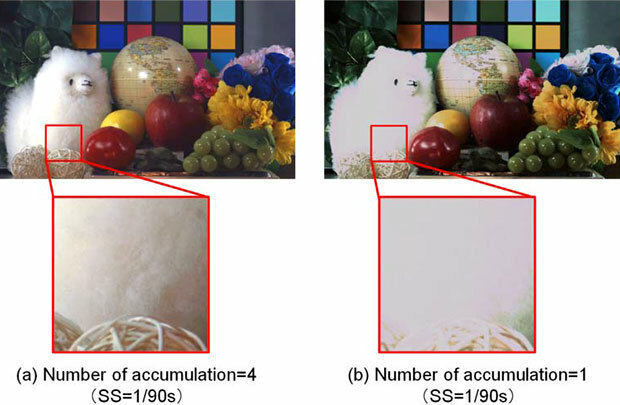 1M fps image sensor with 480 frames sounds very interesting. Will this sensor be commercialised? I have an application for such a device. Why don't more companies supply off the shelf sensor which can support these high frame rates? We hear a lot about high resolution sensors but a low resolution sensor which can operate at very high frames rates can still be very useful. or if they do it, why they leave it out. In this case, it is a real disservice to my former student Zhimin. I'm not one of the authors or affiliated with them. But I think they had managed to include 14 relevant and good references in the paper. It is just not possible to include everything in a 2-pape write-up. sure. Probably what the authors said to themselves. But basically 14 references, none of which point back to the key enabling concepts. So how far back in time should they go? Back to Einstein? Back to opposable thumbs? If they have the recent art, that should be fine...that art is what may refer to the older stuff you refer to. Can you point to any information they have missed by only reading their references versus also reading the one you mention? If there's no information missing is this just about ego's? An enabling technology? That is just laughable. Not every random paper or experiment from a little student 20 years ago is an enabling technology to what people conceive and achieve today. Truely relevant work doesn't need the authors to defend it 20 years post mortem. This reveals a very strong inferiority complex. Just in time for Christmas, the troll is back. I do hope you look at Zhou's paper. Of course it is ancient measured by internet troll time and dates back to the age of dinosaurs and the dawn of modern CMOS image sensors. Still, I think it stands the test of time fairly well. From a workshop on the research responsibility, I heard that an author should cite the reference, no matter how old it is, if it is the first (or, first few) work on the certain topic and if the author is aware of it. I also heard that people sometimes do not follow this rule, but we should respect it anyway.